Since Loft launched plus sizes last month, everyone has been loving it. The first collection sold like hot cakes. Now, they’re back with a whole new collection of spring dresses, skirts, pants, and rompers. We checked out the lookbook and found some really snazzy outfits that could take us from work to weekend. This pink sateen blazer is so modern and fresh. It’s perfect during the day with a pair of light washed jeans. You can also rock it with a pencil skirt or body con dress. Shirtdresses are such a classic piece to have in your closet. It’s great for the office and works as a casual look on the weekends. This tie waist shirt dress gives us chic vibes. These black and white printed drawstring pants will look just as good with sneakers and a t-shirt as they do with a blazer and blouse. Can we talk about how cute this printed romper is. It’s a faux wrap style and has a fern print. Get ready for vacation in this tropical printed tie waist dress. These Slim Chino’s are the best pants to transition you from spring to summer. They’re lightweight and offer up the right amount stretch. These actually come in a variety of colors. 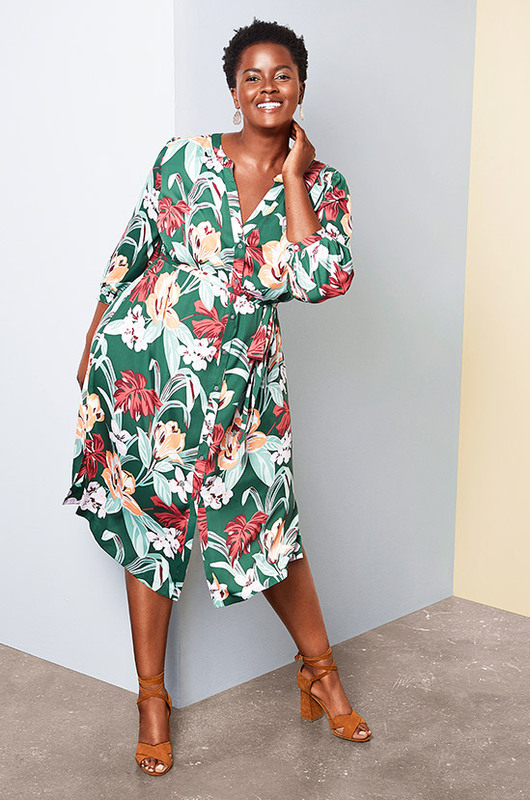 If you’re looking for the perfect dress to wear with flats, then look no further than this ruffled floral printed tie waist dress. Which one of these looks would you wear? I read this article and found it very interesting, thought it might be something for you. 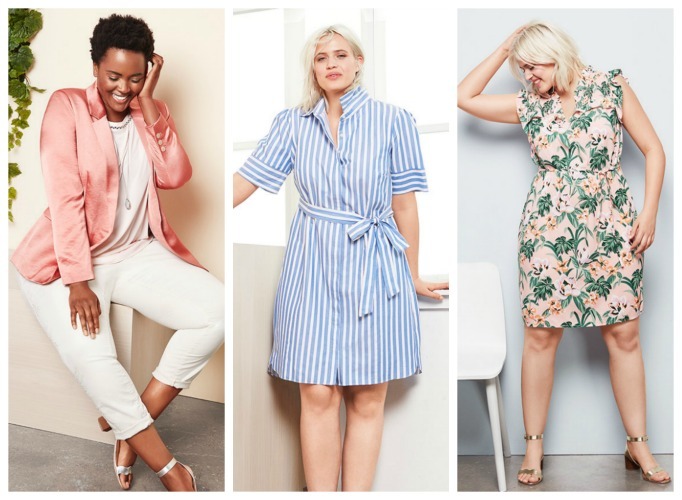 The article is called 7 Looks We Love From Loft’s Latest Plus Size Spring Collection and is located at https://stylishcurves.com/loft-plus-size-spring-collection/.